Gather your friends and family to help rehabilitate Scone’s parks and reserves. This will be the first of multiple sites earmarked for plantings. 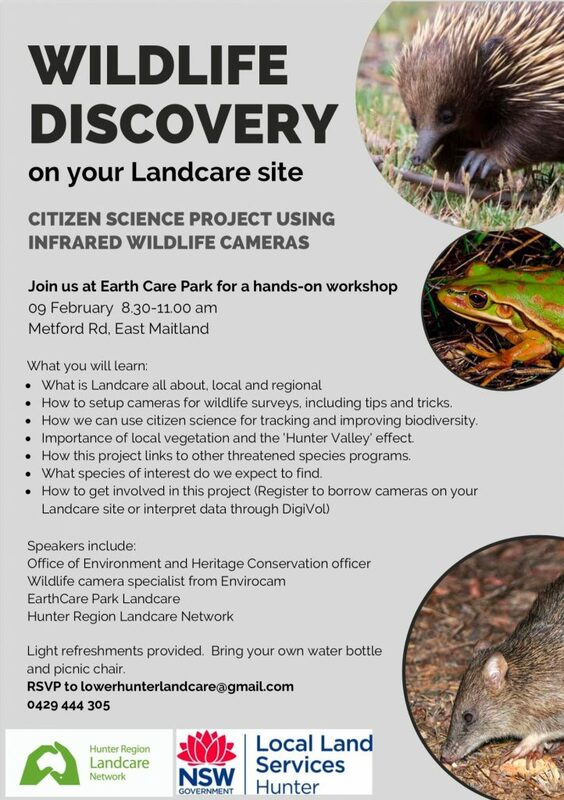 We will finish with a friendly BBQ and refreshments, where you can chat with the local Landcare coordinator and other community members. Location: Reserve on Bhima Drive in Scone – between Alabama Street and Sledmere Close. Wear sturdy enclosed shoes and a hat. Bring along gardening gloves and water. Suitable for all ages and abilities. Come along to an information day presented by Stuart Boyd-Law and Hunter LLS staff. Talk and learn about wild dog management with your neighbours and other land managers. Hands on experience with best practice control techniques. Identifying signs of wild dog activity. Evaluating the impact of wild dogs. Being part of an effective wild dog program. Using Wild Dog Scan to map activity. Hunter Local Land Services, in conjunction with Meat and Livestock Australia, invite you to attend our Regional Beef Forum, ‘Growing Hunter Beef’. Bringing together industry experts, leading producers, and representatives of the local cattle sector, this event will help you make important decisions about your livestock and property management, and how to build your farm business. Trade Fair – more than 60 industry partners, including representatives from animal health, livestock handling, seed and ag chemical companies, skills training and farm tech and innovation providers. Plus government and support agencies. Morning tea and lunch included. Partnering with nature to regenerate land to increase productivity and profitability. Full Holistic Management Practitioner course Four 2-day sessions 3-4 weeks apart This course covers Allan Savory’s core thinking for managing holistically Context and Decision Making Holistic Grazing Planning Holistic Financial Planning Ecological Monitoring Introduction to Land Planning. 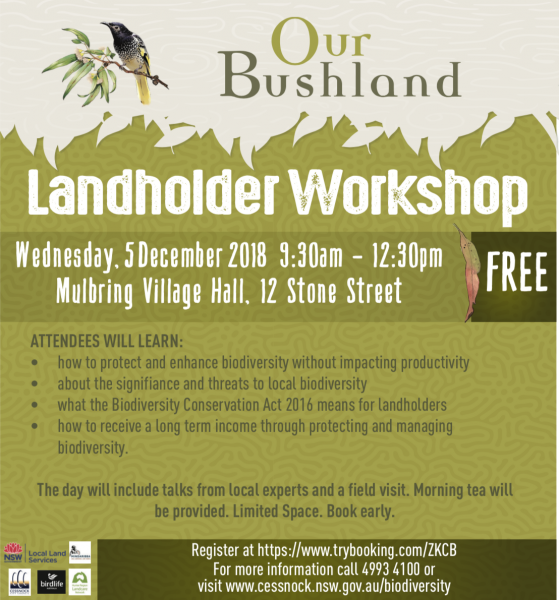 Kooragang Landcare are working on a large scale revegetation project at Ash Island with one last event for this year coming up on November 18, 9.30-12pm. The community planting day is open to all, and a great opportunity to learn more about local native plants and revegetation and to visit the wetlands at Kooragang/Ash Island. 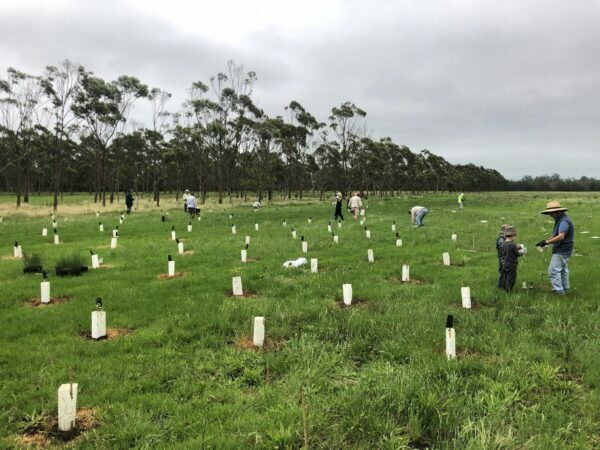 We will be doing a mass planting of 400-500 tubestock seedlings, restoring formerly grazed pasture to its endemic native floodplain forest and lowland rainforest. 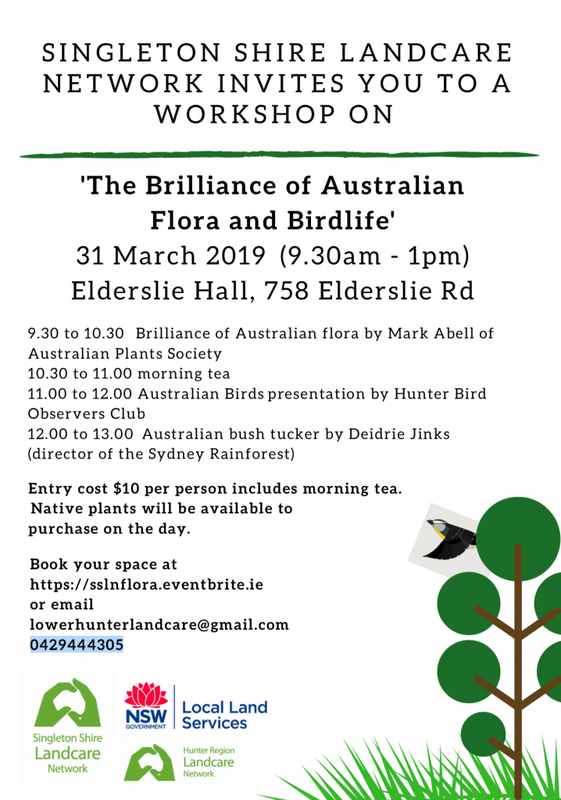 The events are supported by Local Land Services’ volunteer program and other community groups, this month Friends of the Schoolmasters House will provide a free morning tea/light lunch. Learn how direct seeding of native feed and fodder species, fencing and appropriate grazing management can create a landscape of abundance and enhance the natural and financial values of your property. With the recent extended dry spell, water usage and availability in the valley has become more of an issue. 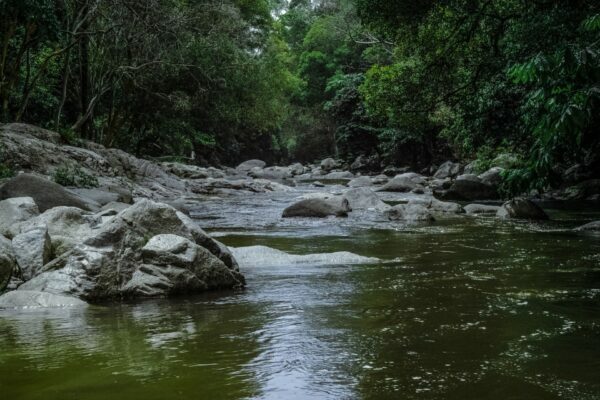 Congewai Valley Landcare has arranged for Water NSW to provide a brief talk on water issues and usage. There will be time for your questions/queries at the end. This workshop is intended to inform us and give us an opportunity to ask our questions. Areas of discussion include domestic water usage, pumping from the creek, stock watering, dams and irrigation. Everyone is welcome to attend but please confirm your attendance for catering purposes. Tea/coffee and light supper/snacks will be provided. As the Easter long weekend comes to a close, lets be mindful of how we dispose of the waste! Did you know that the foil from your eggs can be recycled?